Porter - 4.2% Cold brewed coffee and milk sugars are well-employed in this lovely porter. Cider - 5.5% Complex and earthy, with soft fruity highlights. American IPA - 7% The wonderful and classic flavor of Sculpin is dosed with bright grapefruit. Fruit Beer - 4.8% Huge amounts of fresh strawberries were brutally murdered in the making of this wheat ale. Berliner Weisse - 5% This clean and refreshing Berliner features the welcomed addition of ripe plums. Double IPA - 11.3% This monster of an IPA features Wakatu and Mosaic hops, and certainly packs a punch. Double IPA - 8.6% This massive NE-style DIPA features bright and tropical fruit, with minimal bitterness. American Porter - 6.5% Milk chocolate on the nose with a touch of malt roast conveys a relatively sweet body and flavors of chocolate, caramel, and nuttiness. American Wheat - 5.2% Malty sweetness is balanced by a citrus zing and honey-floral finish. Porter - 5.9% This milk chocolatey and creamy brew is enhanced by going through the nitro treatment, which differs slightly from the Ludvico treatment. Lager - 5.1% As gold as the statehouse in Des Moines, this is an easy drinking, sessionable beer. American IPA - 6.9% Bright and well-hopped, this bitter IPA is aggressive yet very enjoyable. American Pale Ale - 6.2% Piney and resinous hops are supported with biscuity malts in the flavorful and drinkable Pale Ale. Lager - 5.8% This well-endowed brew is smooth and pleasing. Flanders Red Ale - 6.1% This Flanders style ale features soured cherries. Session IPA - 4.5% This is a light and easy (duh) drinking Session IPA that features ripe cirtus notes and moderate bitterness. Lager - 4.5% At just 17 IBUs, this brew is crisp and clean, like a good lager should be. American IPA - 5.9% This ever-changing exotic hop blend always brings a new twist to aroma and flavor. Oatmeal Stout - 5.5% Velvet is appropriate in this beer's namesake, as it rolls on the palate with a soft smoothness. Chocolate and burnt sugar are some of the flavor highlights. Poured on the nitro system. Quadrupel - 13.4% Massive and monsterous, this Belgian classis is barrel aged and biting. Try sharing with a friend. 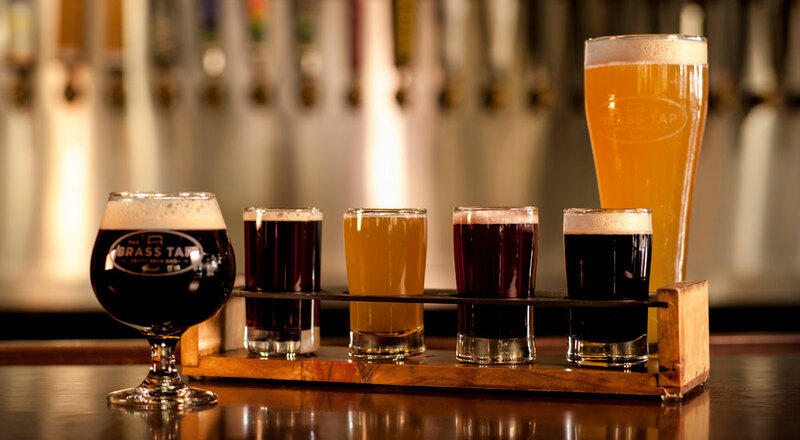 The Brass Tap Cedar Falls offers over 300 craft beers from around the globe in a neighborhood atmosphere that feels both relaxed and upscale. What's more, our beer experts can answer just about any question you throw their way. You'll also find daily specials, live music, and unique events each and every month. Whether your party is large or small, you'll feel right at home watching the game or simply catching up on old times. You can even relax on our inviting, open air patio. Hungry? From salty to tangy to sweet, you're sure to find a flavor to compliment your beer and appease your appetite on our food menu. 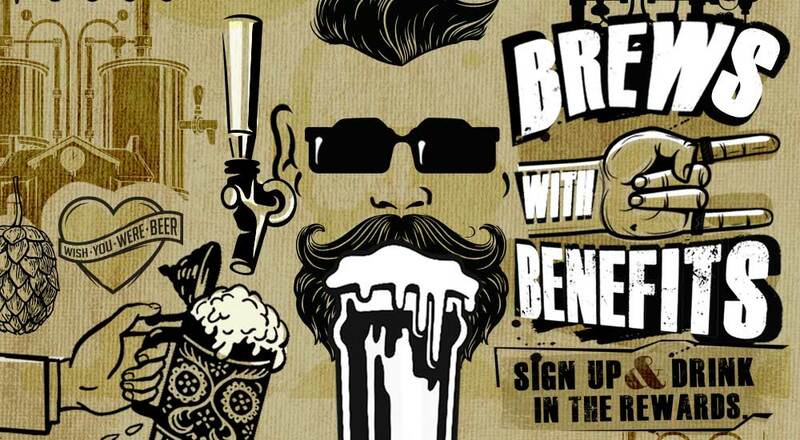 Geeks Who Drink brings the nation's best live hosted pub quiz to The Brass Tap (Cedar Falls)! Join us for 8 rounds of audio, visual and live hosted trivia. Our weekly quiz is free to play and we'll be giving away prizes for answering bonus questions and gift cards for our top teams at the end of the night. Geeks Who Drink rules limit the total number of players on your team to 6, so gather your smartest friends and come on down!! Extended HH Drinks till 9PM. Wednesday nights are for Music Bingo at The Brass Tap! 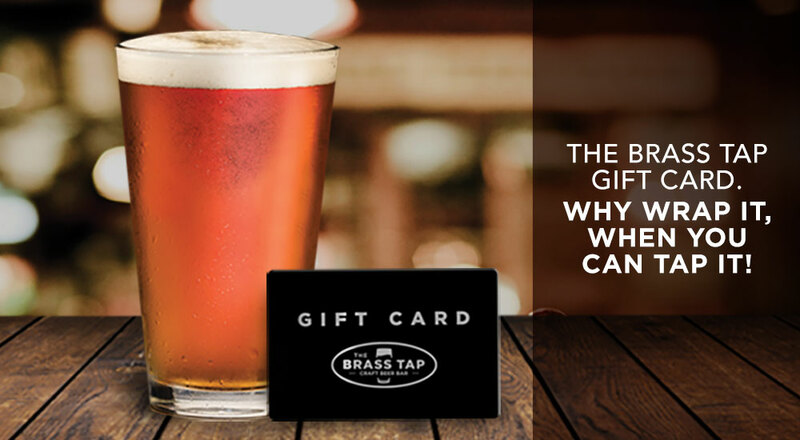 Not only do we have one of the biggest selections of craft beers in the area but now you have the chance to win free beers, free appetizers, and free merchandise. Tell all your friends! We hope to see you here! Come join us for an array of craft beers on drafts and bottles while we enjoy some live music! Support local artist, Josh Schways. It will be an acoustic set. He plays original music and Alternative rock covers such as Foo Fighters, Kings of Leon, Fall Out Boys and more! We recommend coming a little earlier so you can find a good spot near the stage. Expect great atmosphere, great food and whole lot of beer. Hope to see you there!